Did you miss our Summer Series on Exploring Addictions? Be sure to check out DSE-TV's channel (which can be found here: https://www.youtube.com/channel/UCMRMevQzeKh8Go14kUuvoUQ) for past presenters from our previous Town Hall meetings and Inspire! Events. 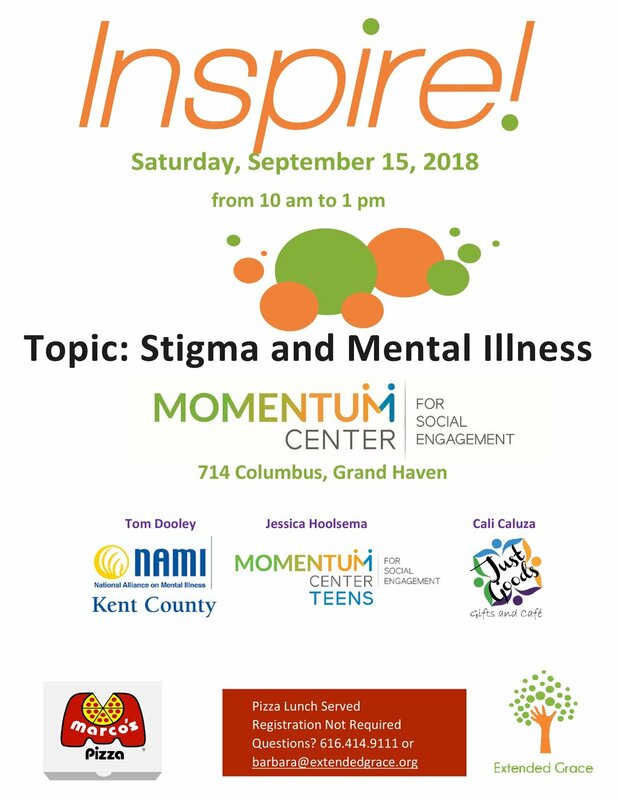 Saturday, September 15th, will start off this year's season of Inspire! Events, as we talk about Stigma & Mental Illness. Be sure to join us at the Momentum Center from 10am-1pm, to join in on the conversation! Lunch will be provided by Marco's Pizza during our time together. This is a free event, and no registration is required. However, if you use Facebook, let us know (if you can) that you plan to attend by going to our posted event (which you can find here: https://www.facebook.com/events/1479569042144610/) and click Going! We look forward to building community while solving problems! Older PostCheck out this ArtPrize Installation!